This 6-hour seminar will get in depth on 3 major topics and help you diagnose better than ever! Taught by Dr. James Lehman. This 6-hour seminar will get in depth on 3 major topics and help you diagnose better than ever! This two-hour presentation will discuss the history of the whiplash injury, previous and current scientific studies, which will demonstrate the homogeneity and complexity of the whiplash associated disorder. This didactic presentation will engage the attendees and enable them to easily implement the recommendations that will improve quality of care for their patients suffering with whiplash injuries. The doctors will be provided a list of reference articles that support the presentation with peer-reviewed evidence. This two-hour presentation employs an active learning strategy, which permits learners to engage advanced clinical training they study through writing, discussing, listening, and reflecting. The doctors will receive a didactic presentation with PowerPoint that complements their active pursuit of knowledge and enhanced competence regarding the differential diagnosis of neuromusculoskeletal causes of anterior knee pain. This section employs an active learning strategy, which permits learners to engage advanced clinical training they study through writing, discussing, listening, and reflecting. The doctors will receive a didactic presentation with PowerPoint that complements their active pursuit of knowledge and enhanced competence regarding the differential diagnosis of neuromusculoskeletal causes of low back pain. Membership Plus and their Staff: Included with membership! Dr. Lehman is an Associate Professor of Clinical Sciences at the University of Bridgeport/College of Chiropractic and Director of Health Sciences Postgraduate Education (HSPED). James completed his MBA at the University of New Mexico and doctorate in chiropractic medicine at the Logan College of Chiropractic in St. Louis, Missouri. James is a board-certified, chiropractic orthopedist. 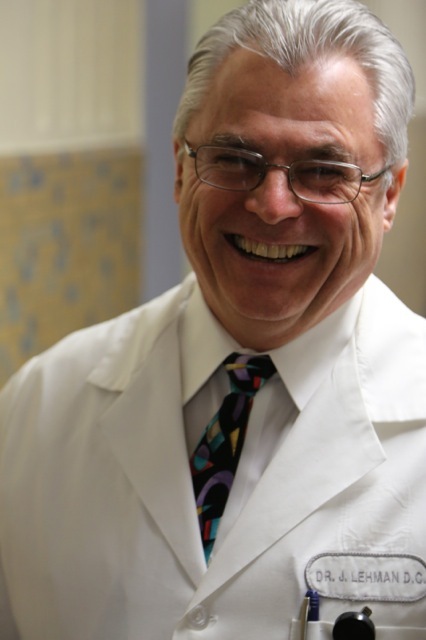 He teaches orthopedic and neurological examination and differential diagnosis of neuromusculoskeletal conditions. In addition, he provides clinical rotations for fourth-year chiropractic students and chiropractic residents in the community health center and a sports medicine rotation in the training facility of the local professional baseball team. As Director of HSPED, Dr. Lehman developed the three-year, full-time resident training program in chiropractic orthopedics and neuromusculoskeletal medicine. The program offers training within primary care facilities of a Federally Qualified Health Center and Patient-Centered Medical Home. While practicing in New Mexico, he mentored fourth-year, UNM medical students.